If I had to bet, it’s likely that there are some email subscribers in your database that are out cold just like your sleepy friend. And that’s a problem, because you spent time and money getting people to subscribe. Luckily, you can use reactivation campaigns to wake them up and get them to re-engage with you—ultimately improving your ROI. A reactivation campaign is an email campaign or multiple campaigns specifically targeted towards “sleeping subscribers,” or subscribers that haven’t engaged with your emails in a long period of time. Changed interests – I’d rather watch cat videos, not dog videos. Expectations not set appropriately – I thought you were going to send me coupons not newsletters. Too many emails! – I’m feeling overwhelmed. Job change – I guess it’s time to update my work wardrobe. Irrelevant content – Do you even know me? DO YOU? Too busy – I would open your emails, but I’ve been pretty jammed lately. 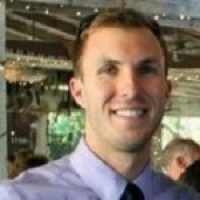 Changed email address – It was time I parted with my high school email address. But you spent valuable time and money on grabbing their attention in the first place, so why not make the most of your efforts and re-engage these folks? Reactivation campaigns are a cost-effective way to determine who still wants to hear from you, who doesn’t want to hear from you (for email deliverability, an unsubscribe is better than being marked as spam), and clean out your email lists. In fact, thoughtfully planned reactivation campaigns deliver up to 14 times more email revenue, according to Experian. The BIG idea here is that the campaigns you are currently running to engage these inactive subscribers aren’t working. The language or the offers just isn’t enough to keep them engaged. Rather than let those valuable contacts go, you should proactively work to re-engage them through reactivation emails. First, identify the folks who haven’t engaged with your emails, website, or any other content in a long time. The specific inactivity window will depend on your email cadence. If you regularly email your database 2-3 times a week, the inactivity timeframe might be 90 days. For those who only send out emails on monthly or quarterly basis, the inactivity timeframe could be 6 to 12 months. In the example below, a new email address comes into your database on Jan 1st and on Feb 15th that new email address made their first purchase! You celebrated and continued to market to them to the best of your ability. And boy oh boy, did they love what you sent them. They filled out web forms, clicked on emails, engaged with your mobile app, and frequently visited your website. And then, just like that, they went cold without even saying goodbye. This happens far too often and in the bustle to acquire new contacts for their database companies forget about subscribers that once loved to engage with their brands and then fell asleep. But with a marketing automation solution, you can set up triggers that automatically listen for inactivity windows and then send reactivation emails. This process allows you to easily and proactively address your sleepy subscribers without having to constantly worry about creating new campaigns. Reactivation campaigns aren’t like your everyday campaigns. You’re essentially trying to jolt your audience to life, so the more the message or offer catches the eye, the better. And that usually means using language or an offer that your subscribers are not accustomed to seeing from your company. On the point of segmentation, remember that you can segment your subscribers based on personas, purchase habits, demographics, email domain, last forms of engagement, or their preferred channels. Email domain is a really important segmentation because each individual email client has unique email filtering options. For example, Gmail has the three tabs: primary, social, and promotions. You can use reactivation emails like these to not only get your subscribers to re-engage, but also to drag your email from the promotions tab to the primary tab, which whitelists your email domain in Gmail. 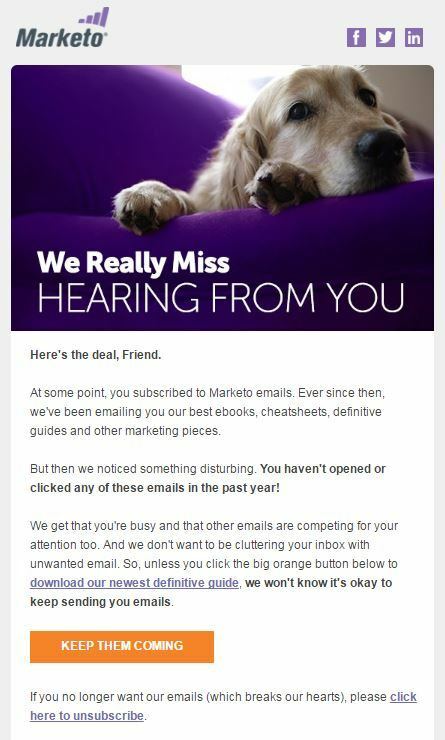 Be personal – The rule here is the same for any direct marketing: don’t just send a mass “we miss you and want you back” email. Instead, use whatever information you have on your subscribers in order to create a personalized, one-on-one message. Here’s an example of one of the recent reactivation emails we sent. Notice the straightforward, human language that asks for re-engagement. Running a reactivation campaign once doesn’t really do it for you. Picture this…every day, better yet, every hour, an email in your database becomes inactive. The moment that email becomes inactive, they should run through a reactivation series and be an ongoing part of your marketing campaigns. Return Path found that even though subscribers may not read a brand’s reactivation campaign, about 45% of them read subsequent messages. click-to-open rates, not to mention the possibility of your email hard bouncing or hitting a spam trap. If you start your reactivation campaigns sooner rather than later, you can catch many of these business risks before they occur. With marketing automation, you can listen for an inactivity window to be met, automatically flag that email to remove them from normal marketing campaigns, and then drip them into the very top of a reactivation series. Allowing someone to opt-out and unsubscribe from your emails is far better than having them mark you as spam. To that end, include a prominent unsubscribe button in your campaign message and don’t be afraid to make it big and bold. The most important thing is that your subscribers can find it. If they can’t, they might just mark you as spam. And that’s it! Four simple steps that make all the difference. 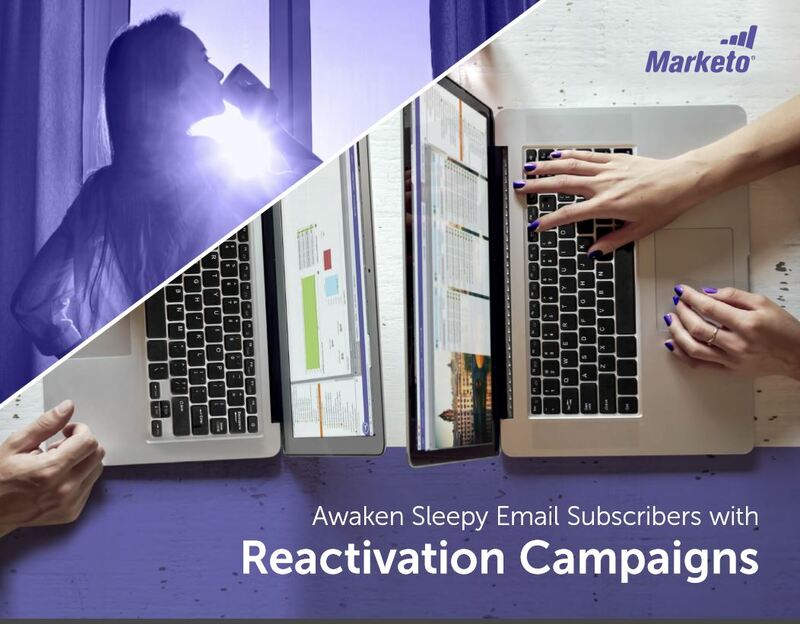 To learn more about how you can build your own personalized, targeted reactivation campaigns, download our ebook, Awaken Sleepy Email Subscribers with Reactivation Campaigns.